If I make these tonight, will they still be good tomorrow? Or are they harder/dryer the following day? They are still super good the second day. Hi Rachel! I tried to make rolls quite a few years ago and things went very wrong. I am so glad I found your site and this recipe! I knew I wanted to make them for Easter tomorrow, so I practiced last month. They came out perfect… except I forgot to set a timer!! I could smell them and took them out before they burned. 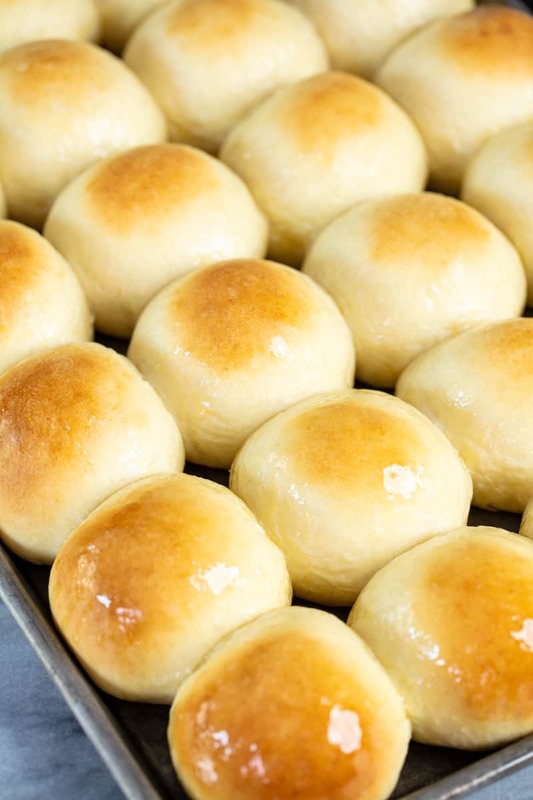 I must say, even with a slightly overdone top, these rolls really are THE BEST!! The rolls turned out great, could this recipe be used for a bread loaf as well? It doesn’t make the best loaf unfortunately. You can, but it is not my favorite. My granddaughter made these for Thanksgiving last year and we all loved them so much. I asked her for the recipe and she gave it to me and told me to go to your site and see all the rest if your recipes. I took her advice and have been using some if them. They are all so easy and delicious. Thanks to you and my sweet grandaughter. I tried to post my rating, but it wouldn’t take it. All stars should be marked. 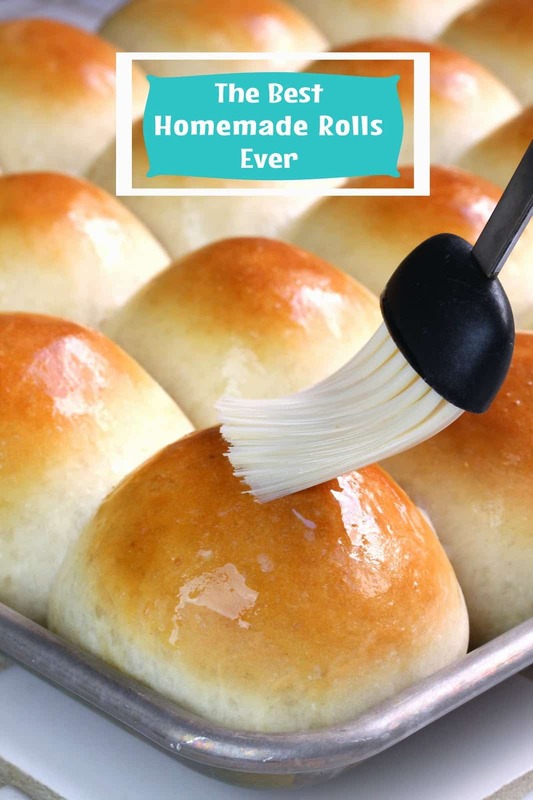 Can’t say enough great things about your dinner rolls and the rest if your recipes that I have tried. I want to make these for Easter but I want to serve them warm. Can I make the dough the day before and bake the next day? There are make ahead instructions included above the recipe. How many days wil these stay fresh for? Could these be reheated, I want to make a day ahead. They stay great for 72 hours. You could always warm them up briefly in a 200 degree oven for 5 minutes. What temperature do you warm the milk to? Seriously simple. Seriously delicious. 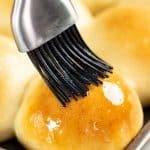 My new fave bun recipe.